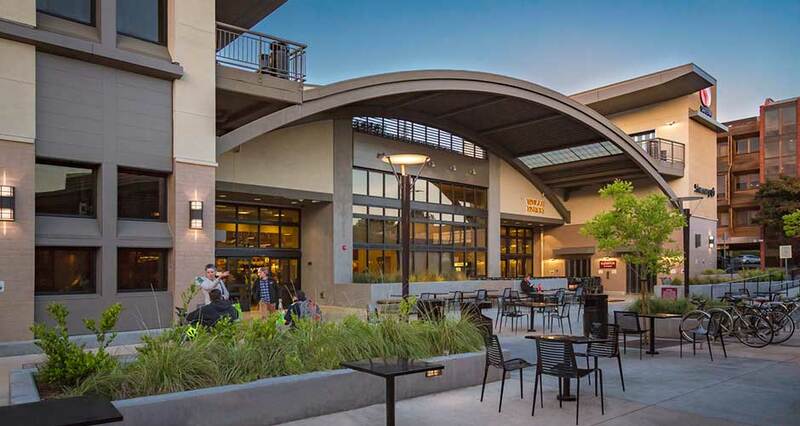 This new urban neighborhood Safeway replaces an outdated and undersized 1960s-era store and surface parking lot on College Avenue, down the street from the University of California, Berkeley. 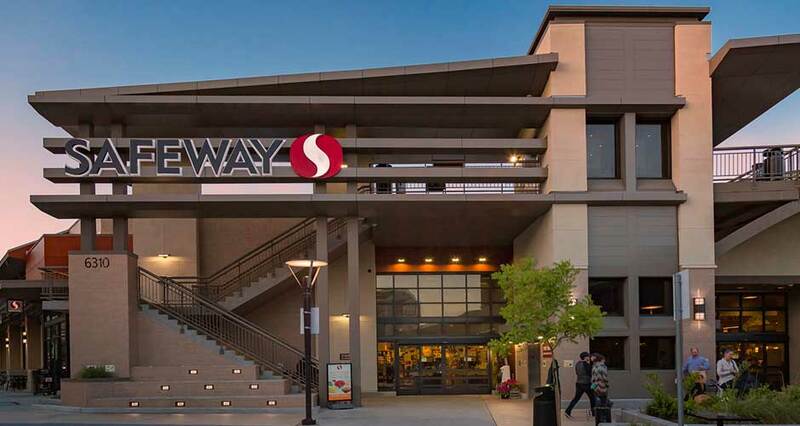 The ground-up new construction project includes a modern Safeway with rooftop parking, an outdoor pedestrian plaza, and a new multitenant retail center opposite the plaza. 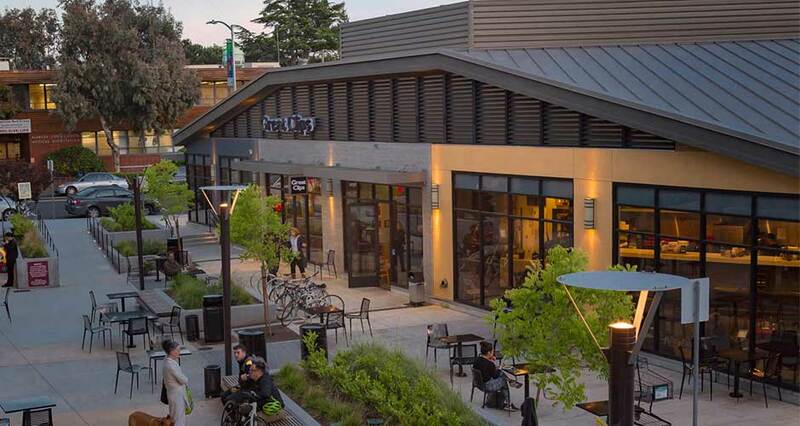 The plaza—designed collaboratively with community input—provides a lively public space and insular seating areas, and activates the neighborhood and retail frontages. Community-inspired features include a subtle stage for street performance and stadium seating for pedestrians. Building on the theme of community connection, the store’s exterior incorporates clay-tile art made by neighborhood schoolchildren. Mackenzie’s structural engineers played a pivotal role in the design of the store, and the rooftop parking. Structural elements played an aesthetic as well as a functional role, and include the curved steel arches facing the plaza and large cantilevers.